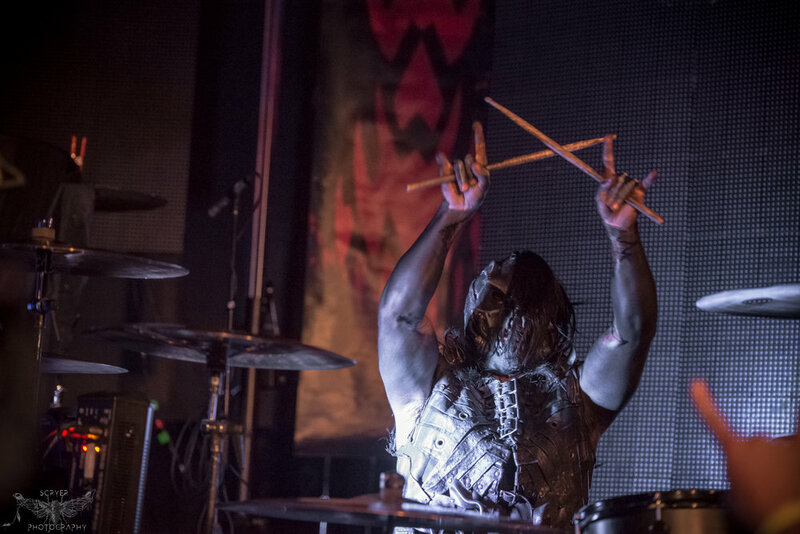 March 23, 2017 at Highline Ballroom was meant for the Industrial Metal community who came out in full gear to see Combichrist, Dope, September Mourning, and Davey Suicide with openers Panzie and Deprived on the "Blood, Lust, Death Tour 2017". 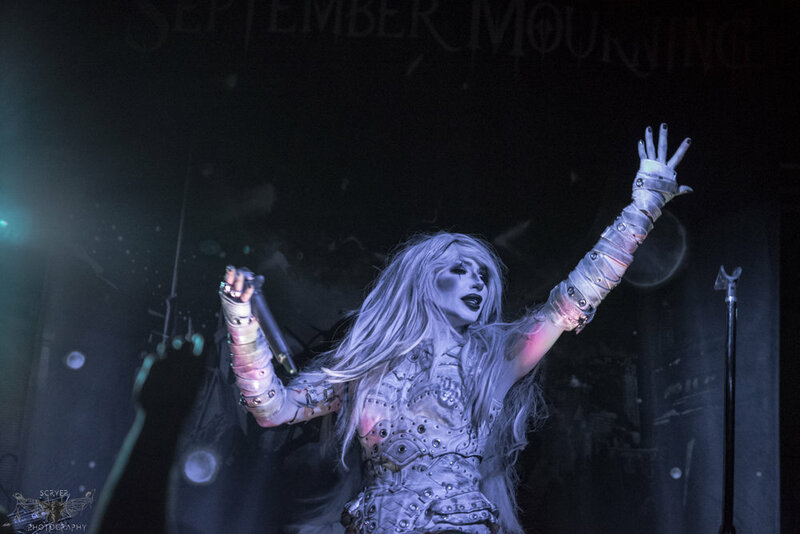 September Mourning are on tour in support of their July 2016 full-length album release of Volume II, the follow up to their 2015 EP Volume I. Volume II carries on from the EP as an emotional concept album which delivers a message of perseverance and strength. The music is a soundtrack to a storyline created by September Mourning involving the character September, the half human reaper who plays with Fate, believing that some human souls deserve a second chance at destiny. September Mourning’s EP was also released as a comic book titled “A Murder of Reapers”, which tells a story of love, loss, and redemption. 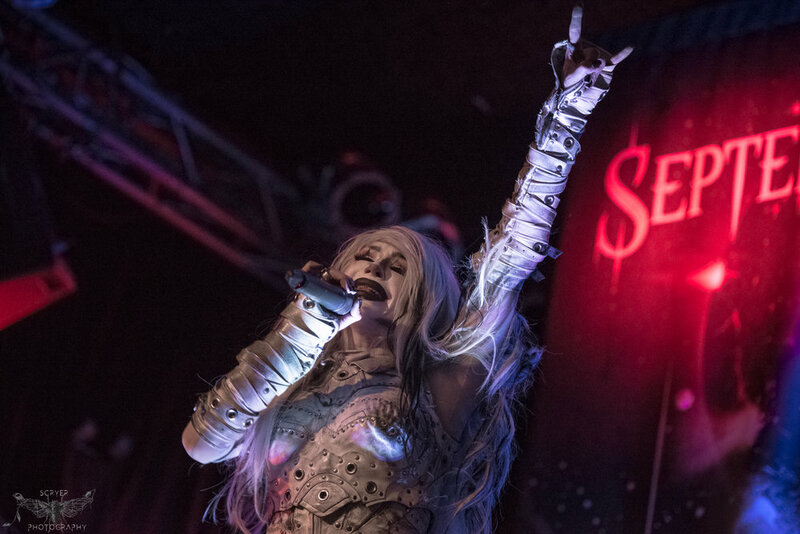 Signed to Sumerian Records, September Mourning are sweeping national stages with music surrounded by influences of Industrial Metal and Alternative Rock while performing as the spectral characters from the comic book EP Volume I. Front woman Emily Lazar (September) entered the stage draped under a black hooded cloak to the narrative of the introductory song "Eye of the Storm". 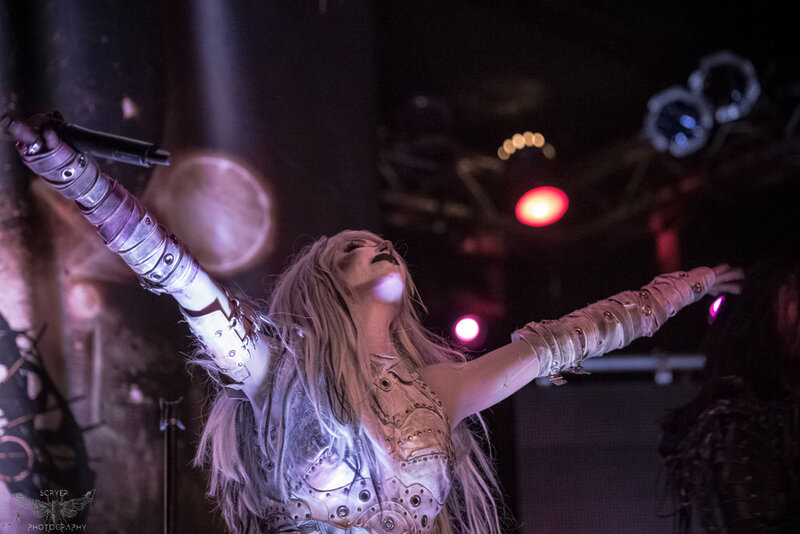 Once unveiled to the crowd, September warned fans that she would collect their souls that night and she did, with the loyal assistance of her fellow reapers Riven, Wraith and Stitch, portrayed by September Mourning band members on stage. It isn’t just a concert when seeing September Mourning live. The band flawlessly recreate themselves as the characters from their comic book EP, bringing the fantasy tale to life during their performance. Emily Lazar effortlessly glides across the stage in full costume and make-up all while holding tuneful and emotional notes in her singing. She wears steadfast expressions of sorrow and determination during songs, singing lyrics that fans wholeheartedly related to. Lazar was enchanting on stage as she took the hands of fans who reached out cheering. September Mourning refer to their fans as Children of Fate, also one of the tracks on Volume II. 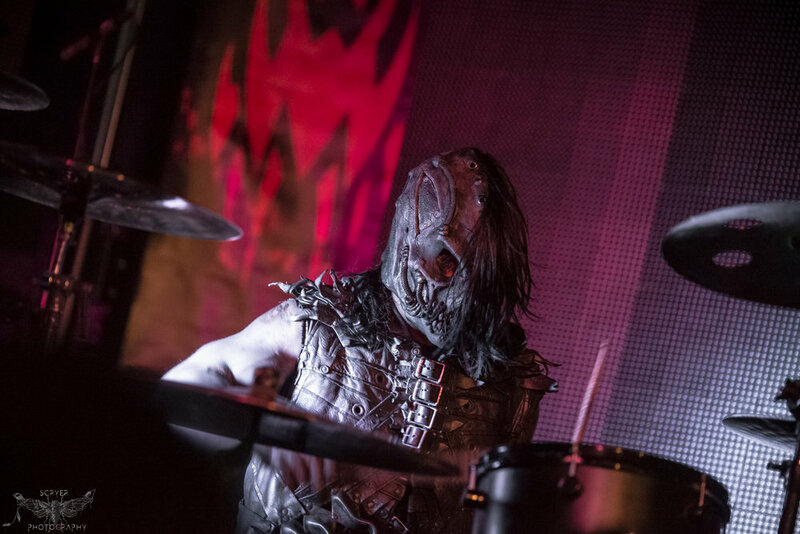 Beside September are the hooded reapers on guitars and the reaper Stitch who plays maniacally on drums and crashing each cymbal, whose face is concealed under a black leathery mask. Standing in front of a cloud of red fog, Lazar demanded fans to bang their heads to “Eye of the Storm”. With that said, she took the mic stand in one hand and joined the crowd, her black and white tresses whipping above her hauntingly beautiful painted face. 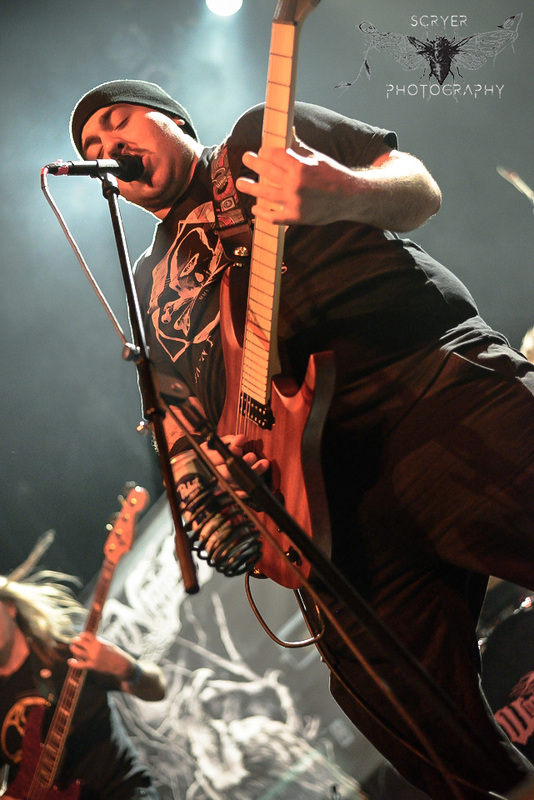 Fans reacted enthusiastically to songs, “20 Below”, “Eye of the Storm”, and "Skin and Bones". September Mourning also performed their brooding rendition of the classic “Stand By Me”. 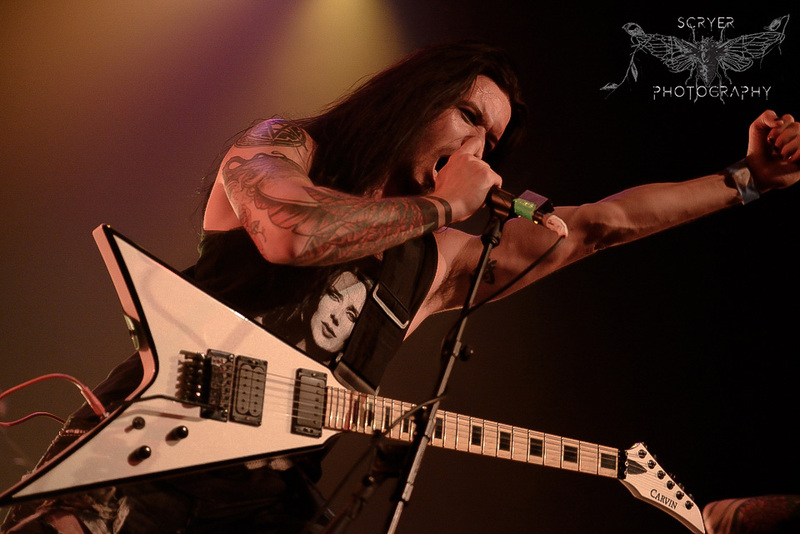 The rest of the set list included "Angels to Dust", and a ghostly introduction story by Lazar for "Children of Fate" , the closing song of their set before Dope and Combichrist took the stage. 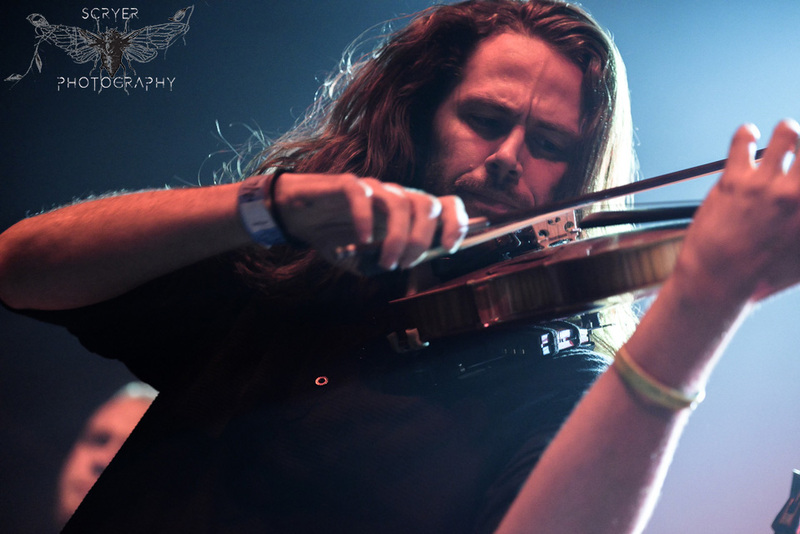 Lazar is impressively resilient during difficult moments of delivering ethereal vocals, crowd interaction, and stage presence all at once. Fans of comic books and Industrial Rock get the best of both worlds with September Mourning. With the intriguing knowledge of September Mourning’s album concept, we look forward to reading more about September’s journey of soul reaping and toying with fate accompanied with new music to deliver us to September’s world once again. 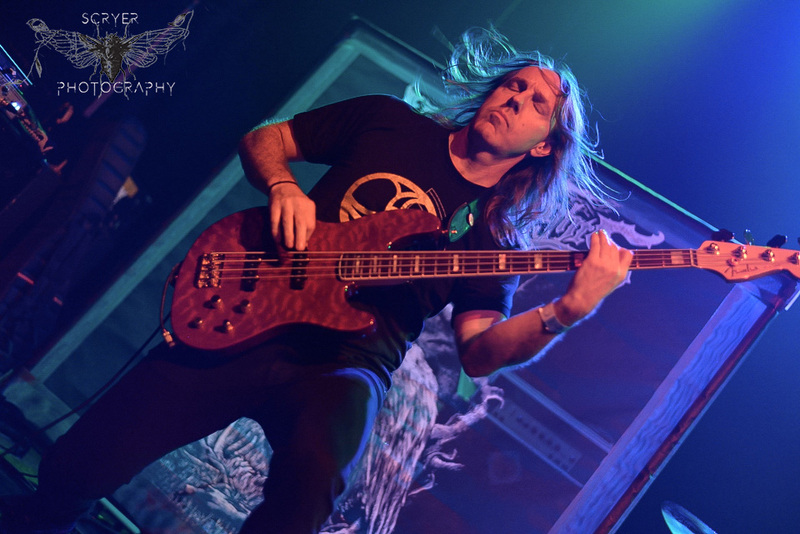 The band's final show on the "Blood, Lust, Death Tour 2017" will be on April 7th in New Mexico following more Spring and Summer tour dates into August 2017. September Mourning’s Volume II can be purchased here on iTunes.